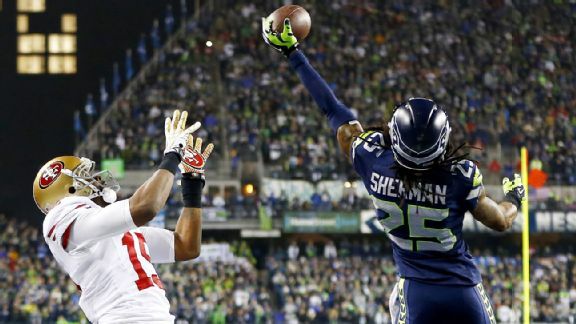 Jonathan Ferrey/Getty Images Plays like Richard Sherman's game-saving tip in the NFC title game are why big CBs are in demand. After Sunday's NFC title game, Richard Sherman called the 49ers' Michael Crabtree a "mediocre" receiver. This only a few weeks after 49ers head coach Jim Harbaugh said Crabtree was the "greatest catcher" of all time. We want to know where Crabtree ranks in SportsNation's wide receiver rankings.